These monographs are published by the Ayrshire Archæological & Natural History Society. Copies may be obtained, subject to stock, from Denis Rattenbury, 4 Ewenfield Avenue, AYR KA7 2QG (price as shown below post free in UK only). Eric J. Graham, Burns & the Sugar Plantocracy of Ayrshire, (No. 36, 2009, £6.00), 124 pages. Foreword by Professor Tom Devine. 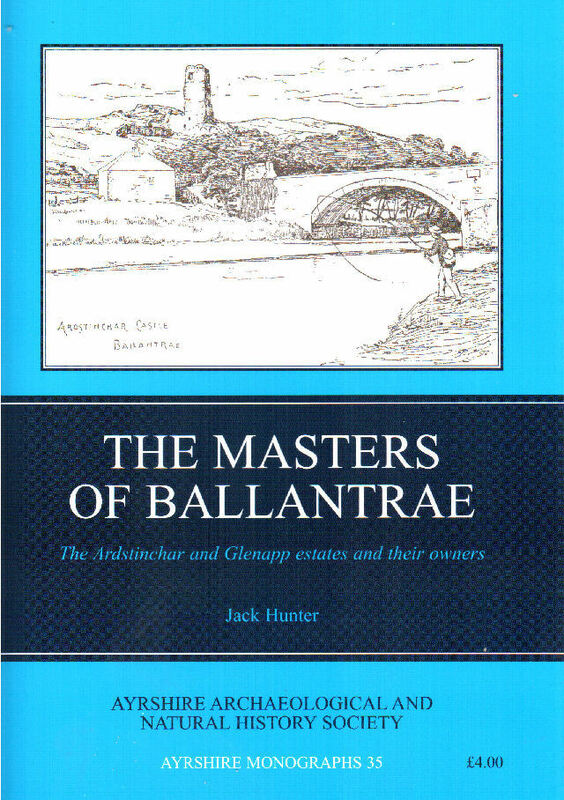 Jack Hunter, The Masters of Ballantrae: The Ardstinchar and Glenapp estates and their owners, (No. 35, 2009, £4.00), 30 pages. 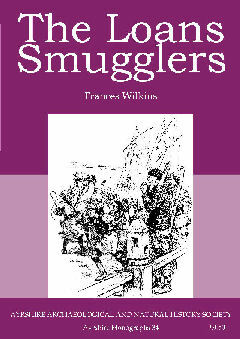 The story of smuggling in 18th century Ayrshire, drawn from original sources in archives in Ayr, Edinburgh Glasgow, the Isle of Man, and London. 25 sketches, maps, and tables. 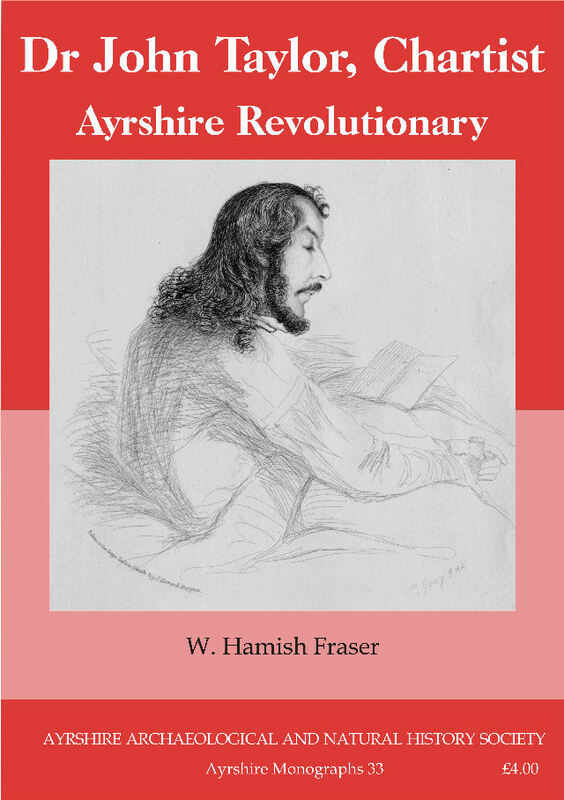 W. Hamish Fraser, Dr John Taylor, Chartist: Ayrshire Revolutionary, (No. 33, 2006, £4.00), 112 pages. 'Every inch a man and a gentleman', John Taylor became a leading light of the Chartist movement, with a reputation for violent demagoguery that we hear in other circumstances today. He was born in Newark Castle and, despite his revolutionary ideals and brushes with the law, was remembered with affection in Ayr, where he is commemorated by a statue in Wallacetown cemetery. Hamish Fraser has provided a fascinating and detailed account of his career and of a time when the security of the state itself seemed to be in jeopardy. 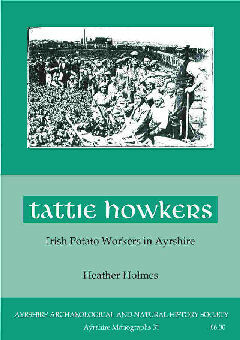 Heather Holmes, Tattie Howkers: Irish Potato Workers in Ayrshire, (No. 31, 2005, £4.50), 192 pages. 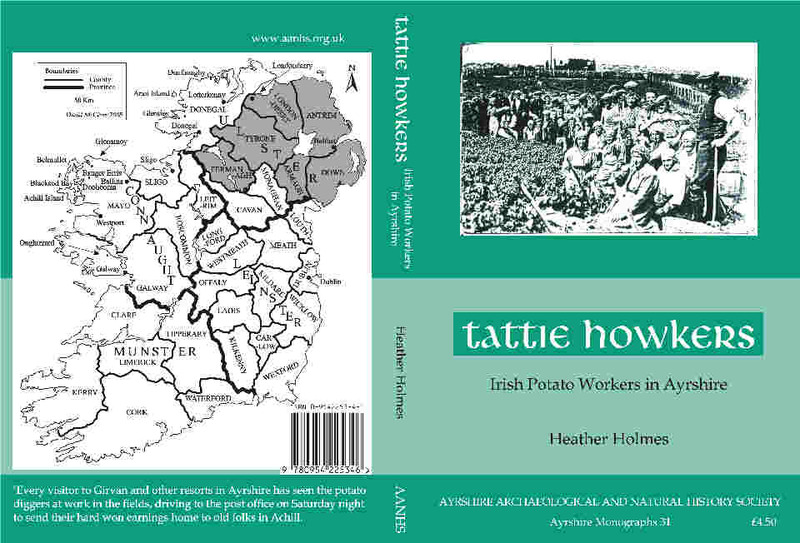 Heather Holmes gives a full account of the tattie howkers, the farms on which they were employed and their working and living conditions, and of the institutions that engaged in their regulation and welfare. 2 maps and 12 illustrations. 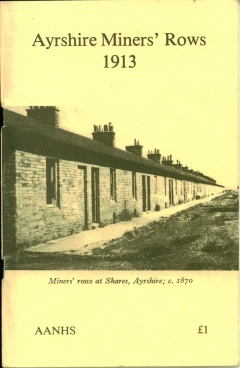 Although it has been out of print for some time, Ayrshire Miner's Rows, 1913, published in a facsimile edition by the AANHS in 1979, is still in demand. 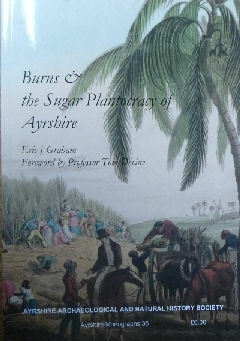 It has now been published in a digital edition on the Ayrshire History Website. To go to it, just click on the title above. 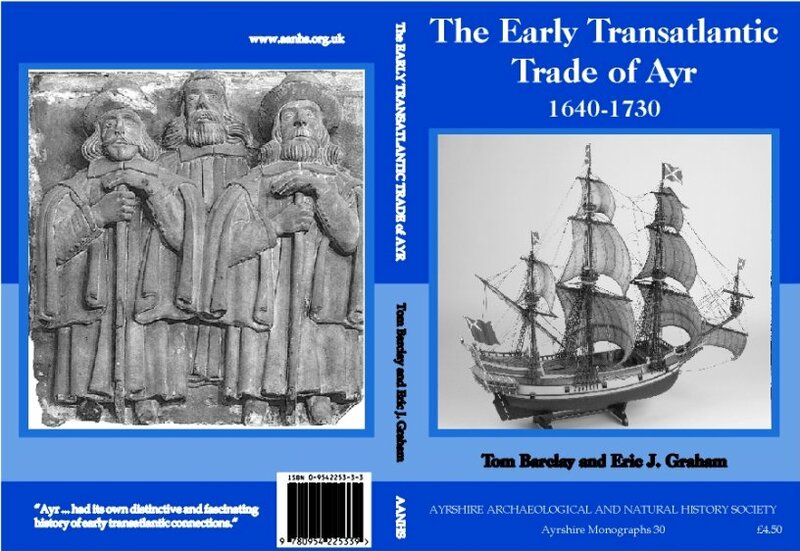 Tom Barclay and Eric J. Graham, The Early Transatlantic Trade of Ayr 1640-1730, (No. 30, 2005, £4.50), 104 pages, ISBN 0 9542253 3 3. 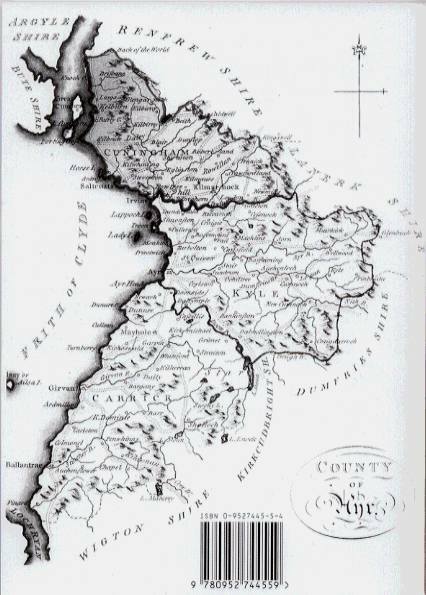 This account describes in detail the families, vessels, cargoes, and destinations involved in Ayr's early transatlantic trade, set against a background of upheaval: the Civil War, the Restoration of Charles II, the Wars of the Three Kingdoms that ended the reign of James VII (or II), and the Union of the Parliaments of England and Scotland in 1707. This publication was reviewed by David Ransome in The Local Historian, vol. 36.1, February 2006, 56. John R. Hume, Vernacular Building in Ayrshire, (No.29, 2004, £4.50), 80 pages, ISBN 0 9542253 2 5. 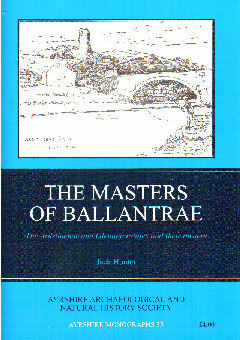 A revised and much extended edition of the monograph first published in 1988 (Monograph 3), this contains 102 line drawings, Captain John Slezer's view of Ayr, and a map showing places mentioned in the text. Also contains a glossary of architectural terms and a bibliography. 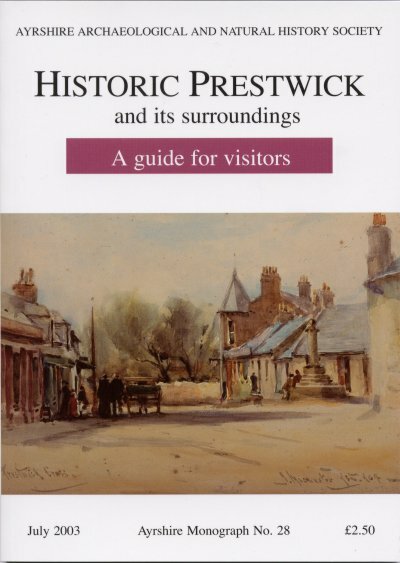 Historic Prestwick and its surroundings: A Guide for Visitors, (No. 28, 2003, £2.50), 64 pages. ISBN 0 9542253 1 7. An illustrated walking tour of Prestwick and cycle or car tour of Monkton, Tarbolton, Barnweil, St. Quivox, and Auchencruive, with clear annotated sketch maps, an index, and a bibliography. 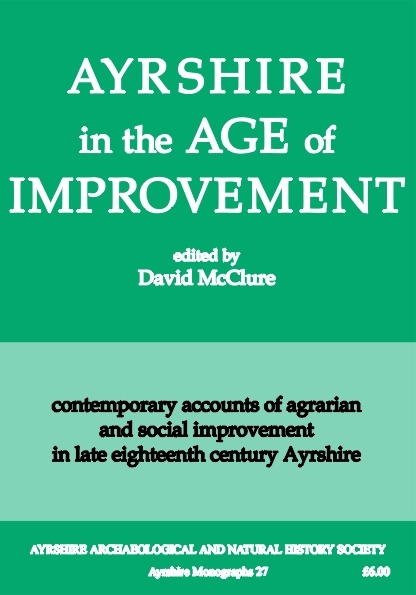 David [Courtney] McClure, Ayrshire in the Age of Improvement (No.27, 2002, £6.00), 192 pages. ISBN 0 9542253 0 9. CONTENTS: Introduction; Sketch Map of Ayrshire Parishes; Present State of Husbandry in Ayrshire by Andrew Wight (1778); Colonel William Fullarton of Fullarton: A biographical note by Rob Close; General View of the Agriculture of the County of Ayr by Col. Fullarton; Appendix 1: Publications of Col. William Fullarton; Appendix 2: Weights, measures and money; Appendix 3: Lime, limekilns and the economics of limestone burning; Appendix 4: Cost of enclosing and improving land. With copious endnotes and an index. 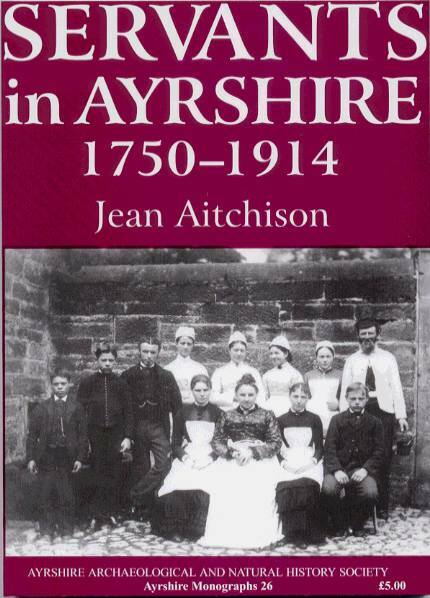 Jean Aitchison, Servants in Ayrshire 1750-1914 (No.26, 2001, £5.00), 144 pages. ISBN 0 9527445 5 4. 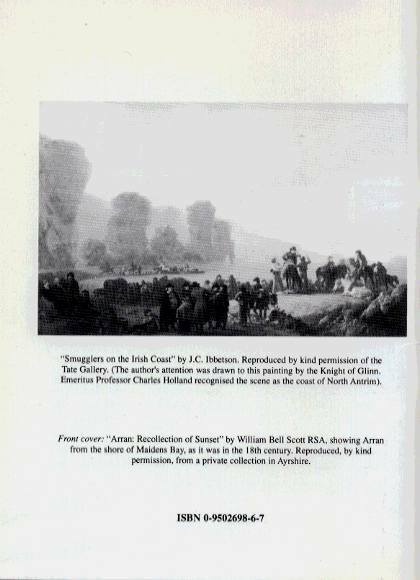 The author draws on kirk session records, estate papers, parliamentary reports, memoirs, oral history recordings and many published works to present a picture of the circumstances of the servant class in the county, from the middle of the eighteenth century to the eve of the First World War. With full citation of sources, five appendices and an index, this is both a narrative which brings the subject to life, and a valuable reference work on the county and the period. Now out of print. 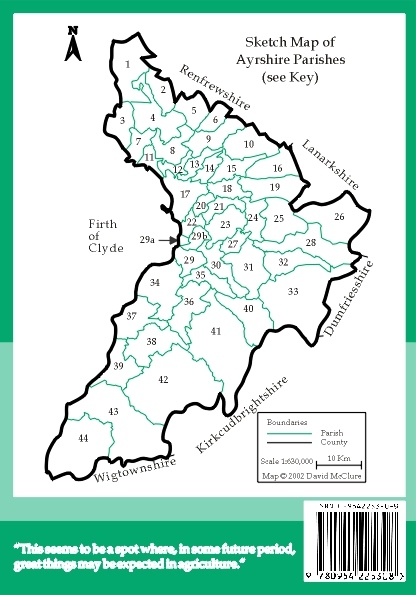 Servants in Ayrshire is now available to download as a pdf file (excluding only the cover). This is a large file and should only be downloaded using a broadband connection. Download Servants in Ayrshire (approx. 3.5MB). 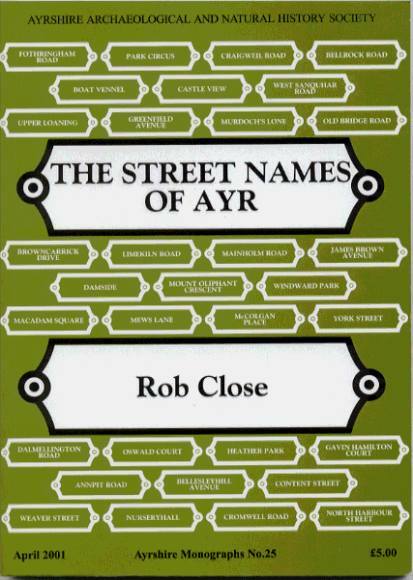 Rob Close, The Street Names of Ayr (No.25, April 2001, £5.00), 136 pages. ISBN 0 9527445 9 7. 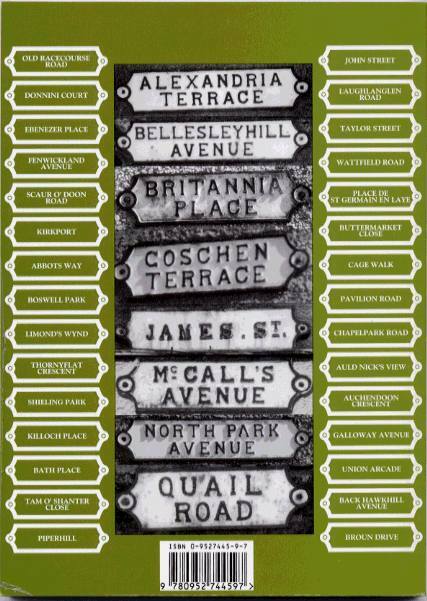 A fascinating and authoritative account of the derivation of the street names of Ayr, past and present, by the author of Ayrshire and Arran: An Illustrated Architectural Guide, (Edinburgh, 1992). Review by David B Smith. 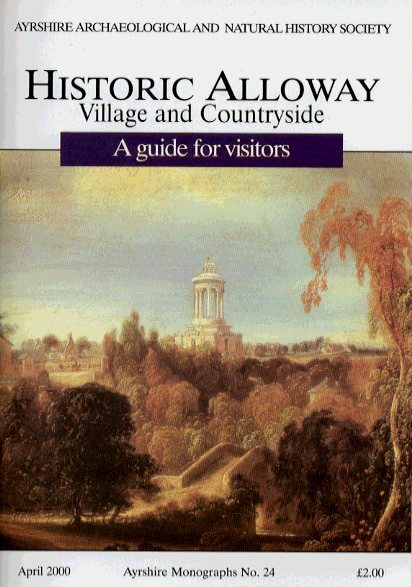 Historic Alloway: Village and Countryside. A Guide for Visitors (No. 24, April 2000, £2.00). i map; 60 pages. A walking tour of the village and a short excursion into the surrounding countryside and shoreline, packed with information and illustrated with line drawings. 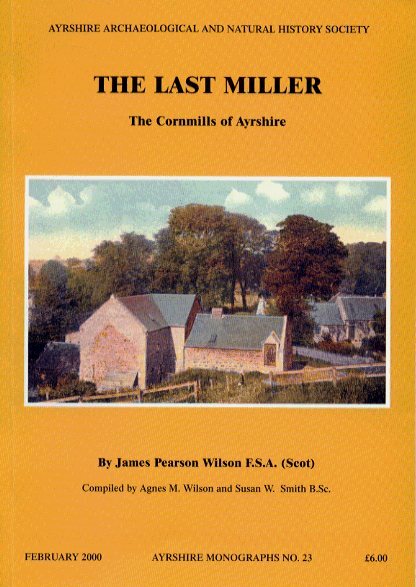 James Pearson Wilson, The Last Miller: The Cornmills of Ayrshire (No. 23, February 2000, £6.00). 8 illustrations. 80 pages. 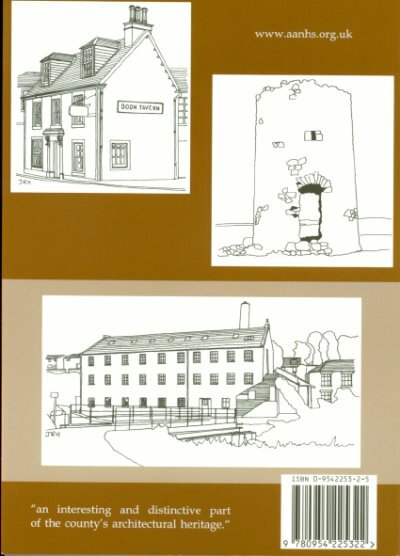 Short descriptions and histories of around 100 mills, written by a noted antiquarian, Burnsian and, not least, miller. 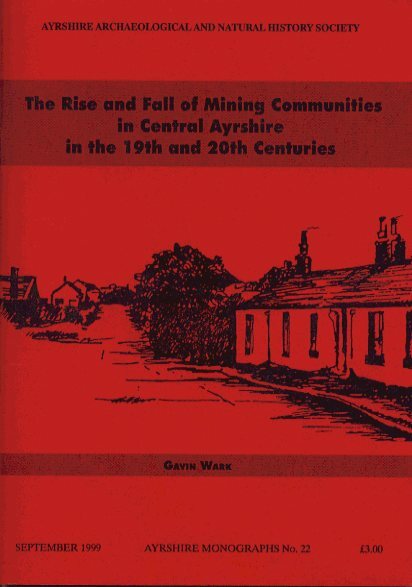 Gavin Wark, The Rise and Fall of Mining Communities in Central Ayrshire in the 19th and 20th Centuries (No. 22, September 1999, £3.00). 3 maps. 56 pages. The story of communities created by the growth of the mining industry and left high and dry by its demise, from a variety of sources including oral history. 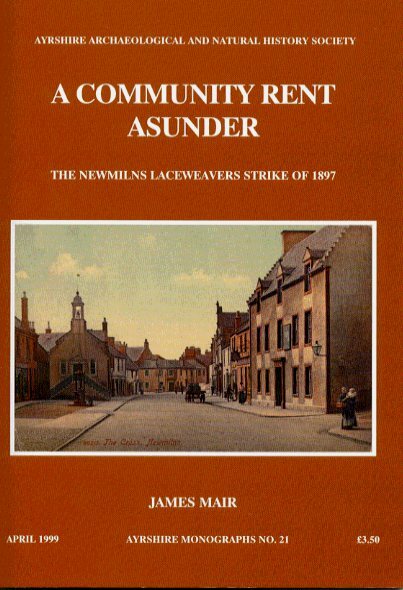 James Mair, A Community Rent Asunder: The Newmilns Laceweavers Strike of 1897 (No. 21, April 1999, £3.50). 11 illustrations. 52 pages. An account from contemporary sources of a bitter dispute between the Newmilns and District Textile Workers' Union and the owners of the lace factories established in the district since 1875. 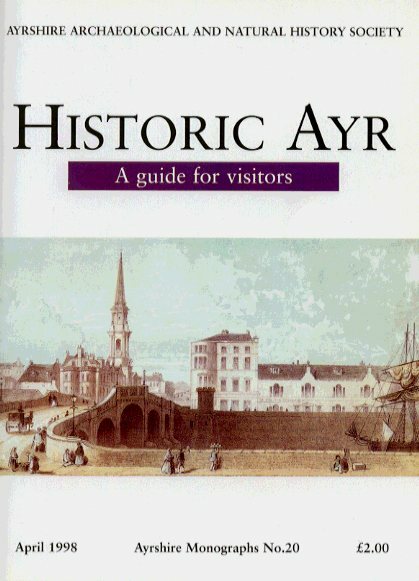 Historic Ayr: A guide for visitors (No. 20, April 1998, £2.00). Illustrations and map. The "legacy that Ayr's history has left" described in a series of circular trails which interconnect, so that visitors may spend as much time as they choose exploring the town. 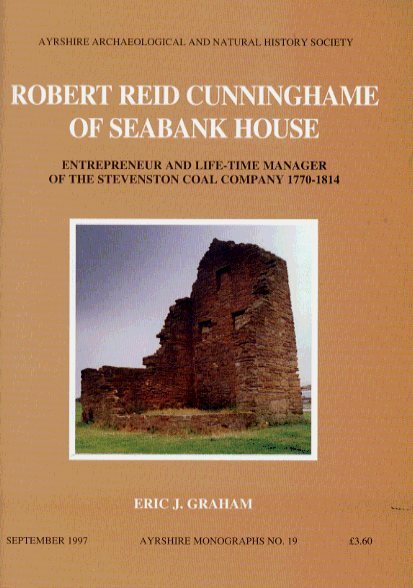 Eric J. Graham, Robert Reid Cunninghame of Seabank House: Entrepreneur and Life-time Manager of the Stevenson Coal Company 1770-1814 (No. 19, September 1997, £3.60). 17 illustrations. 48 pages. A detailed account of his stewardship of an enterprise which was an important example of the early industrialisation process in Scotland, and of his legal battles with the Warners of Ardeer and the Montgomeries of Eglinton. 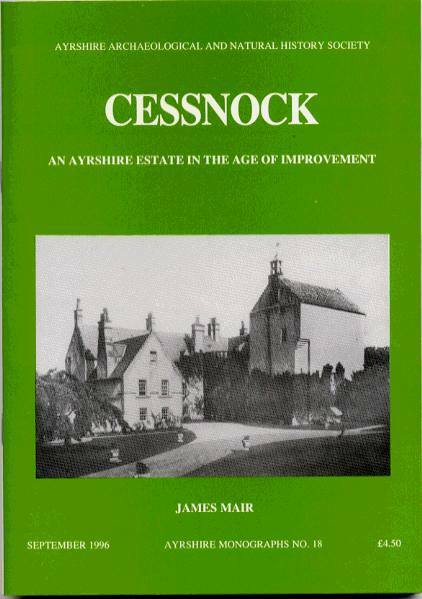 James Mair, Cessnock: An Ayrshire Estate in the Age of Improvement (No. 18, September 1996, £4.50). 64 pages. This covers the years 1787 to 1800 and is based on Letter Book 59 of George Douglas, the factor at Loudoun, who also managed the Cessnock Estate at that time. 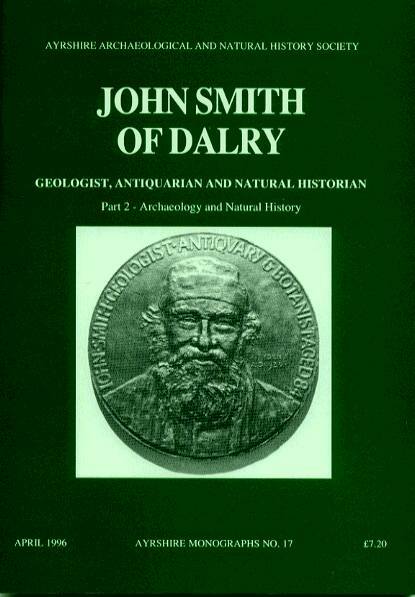 John Smith of Dalry: Geologist, Antiquarian and Natural Historian; Part 2 - Archæology and Natural History (No. 17, April 1996, £7.20). 80 pages. 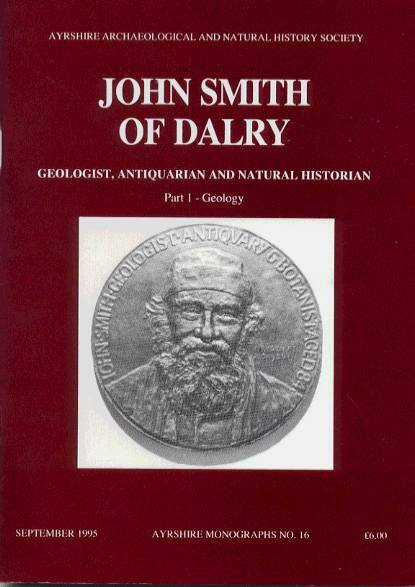 John Smith of Dalry: Geologist, Antiquarian and Natural Historian; Part 1 - Geology (No. 16, September 1995, £6.00). 56 pages. These publications commemorate the centenary of John Smith's famed book Prehistoric Man in Ayrshire, which appeared in 1895. Following an introductory biography of John Smith (1846-1930) by Dr. R. B. Wilson, Part 1 contains six papers by eminent geologists on different aspects of Smith's work in this field. Part2 covers Smith's contribution to the archæology of pre-historic and early historic Ayrshire and his researches into its botany and zoology. It includes the Buchan Lecture "John Smith - The Man and His Times" by John R. Hume. Eric J. Graham, The Port of Ayr 1727-1780 (No. 15, April 1995, £4.20). 48 pages. 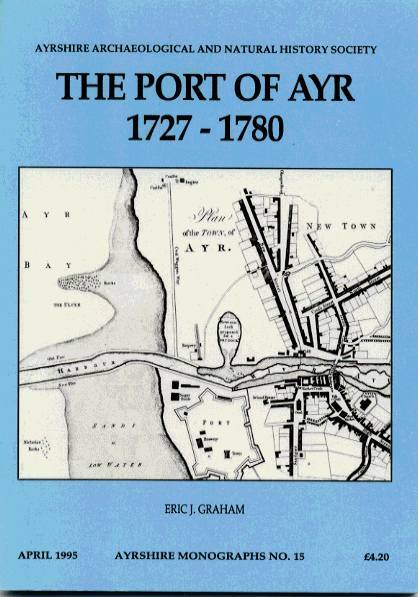 The revival of Ayr as an international port during the 18th century, the ships involved in the trade and the commodities imported and exported are revealed in this study based on extensive examination of the letter and day books of the Customs Collectors at Ayr and Irvine. 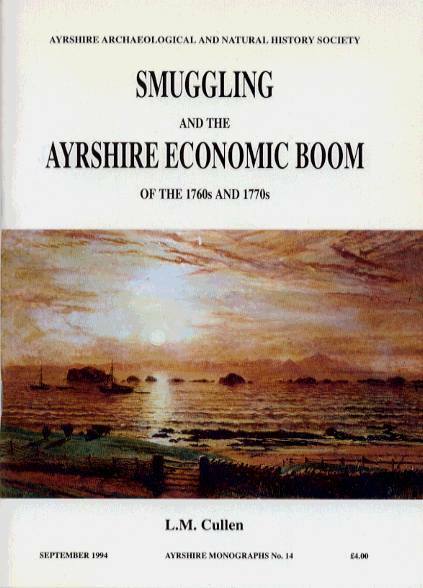 L. M. Cullen, Smuggling and the Ayrshire Economic Boom of the 1760s and 1770s (No. 14, September 1994, £4.00). 56 pages. 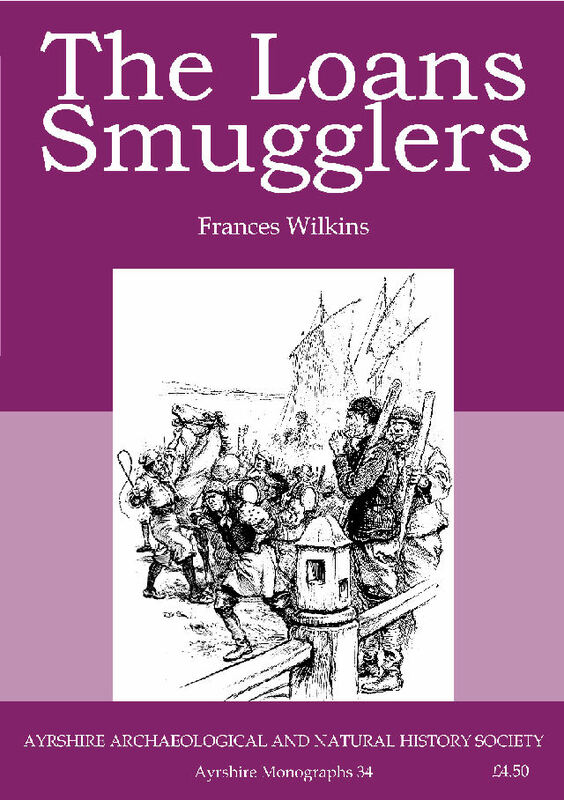 Examines the extensive trade in commodities subject to high customs duties (notably tea, tobacco and spirits) and the bases from which it was carried out (the Isle of Man until 1765, then Guernsey, Dunkirk and the Faroes). 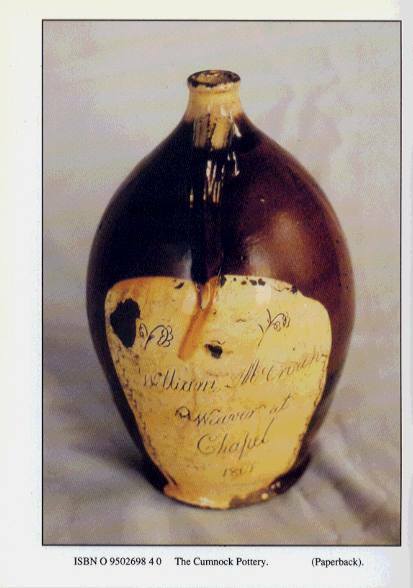 The part played by financial interests, particularly the Ayr Bank until its collapse in 1772, is extensively examined. There are two maps, one modern, one dating from 1760. 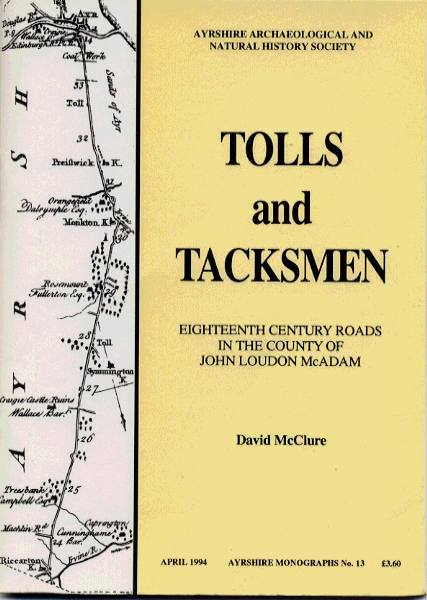 David McClure, Tolls and Tacksmen: Eighteenth Century Roads in the County of John Loudon McAdam (No. 13, April 1994, £3.60). 1 map. 56 pages. An account of the improvements in roads in Ayrshire as a result of the County Turnpike Acts of 1767 and 1774 and the principal landowners and merchants involved in their financing, construction and administration, one of whom was the future road builder, John Loudon McAdam. 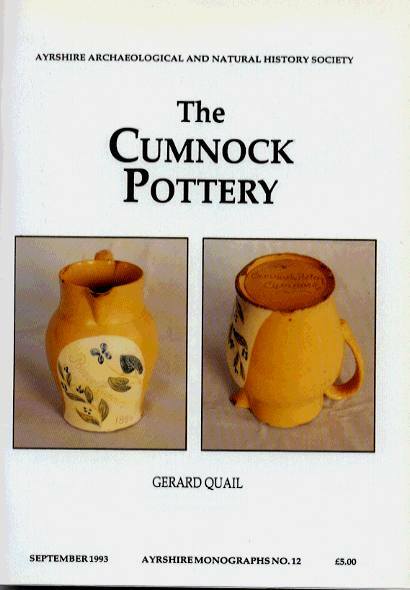 Gerard Quail, The Cumnock Pottery (No. 12, September 1993, £5.00). Illustrations, many in full colour. 76 pages. The Pottery at Cumnock operated from 1792 to 1920, producing very distinctive earthenware dishes, vases and jugs for everyday domestic use. 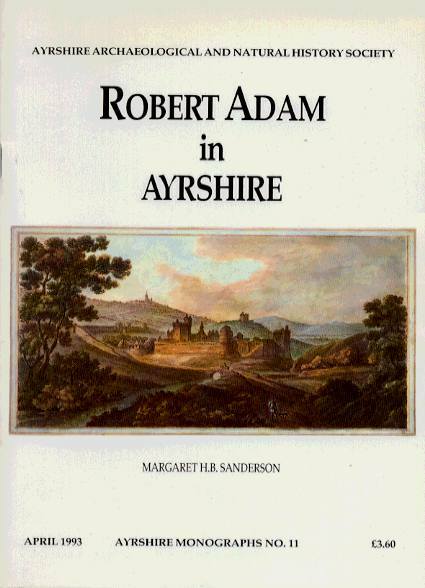 Margaret H. B. Sanderson, Robert Adam in Ayrshire (No. 11, April 1993, £3.60). 12 illustrations. 36 pages. The story of the contribution of Scotland's best-known 18th Century architect to Ayrshire's stately homes highlights Culzean, Dumfries House, Auchencruive, Caldwell and Dalquharran as well as Ayr's first New Bridge. 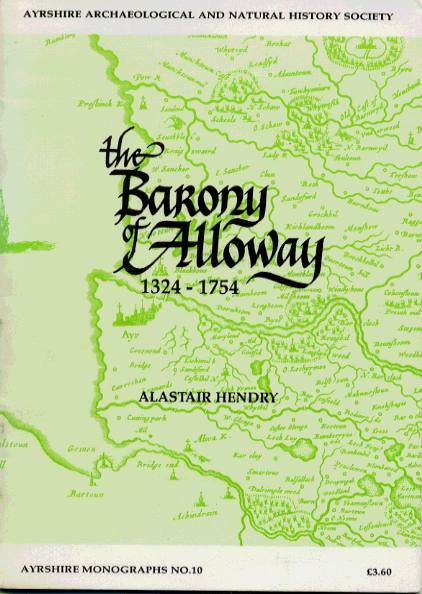 Alastair Hendry, The Barony of Alloway 1324-1754 (No. 10, ). 40 pages. 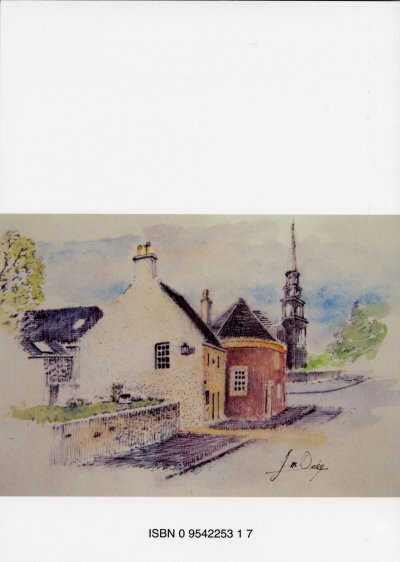 This account of the history of Alloway up to the sale of the lands of Alloway by the Burgh of Ayr in 1754, includes details of archæological sites, topographical references, economic activities and the work of the parish church. 5 illustrations and a map of the Barony c.1550.